A night at the movies in Bucks County doesn't have to cost you a thing. 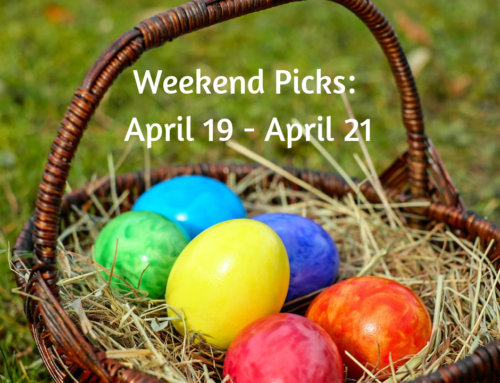 From local libraries to parks there are free family movies to enjoy almost every weekend and as a bonus, some even offer free popcorn. If you are viewing outside bring your own comfy chair or a blanket and lay out under the stars while you watch a flick. The Warminster Township Free Library offers a series of free movies all summer long. Check out the line up here. You can view these at the library at 1076 Emma Lane in Warminster. Free screening of this family drama that focuses on the relationship between father and son starring: Dennis Quaid & J. Michael Finley Popcorn will be provided! No registration required. A teenage romance in which 16- year- old Rhiannon falls in love with A, a mysterious spirit who inhabits a different body every day. Join Peter Rabbit and his three sisters — Flopsy, Mopsy, and Cotton-Tail as they enjoy cavorting in Mr. McGregor's vegetable garden. No registration. Popcorn provided! A clever bear named Paddington takes on a few jobs, so he can buy a present for his Aunt Lucy who is turning 100. Movies in the Park Newtown will be sponsoring Summer Movies to be shown at Linton Park, South Lincoln and Penn Streets in Newtown. July 11 at 8 p.m. – Annie, Free screening of the show based on the hit Broadway musical. July 18 at 8 p.m. Coco – An animated film that speaks of multi-generational love and death and memory. The town center at the Shoppes at Valley Square will be the place for these movies and entertainment events. Guests are encouraged to bring a blanket or chair and enjoy the fun under the stars. There will also be a moon Bounce and DJ on hand. They will be shown at 1501 Main Street in Warrington. This event is free and open to the community. Seating in the grassy area is limited. July 12th from 7 – 11 p.m.- Up! The Pixar film features a senior man named Carl who was a balloon salesman. He embarks on a dream of flying to South America and discovers a stowaway named Russell onboard. Fast-paced animated cars come together for a race to the finish in this action-oriented film. In this tale two princesses Anna and Elsa, the curse laid upon them by the Snow Queen, and the twists and turns it takes to bring warmth back to their homeland. This is not a film, but a rendering of the story behind the film. Children will have such fun as they hear an “Ariel” Princess character read. The Little Mermaid features the character of Ariel who decides to give up being a mermaid, so she can live on land. Everybody's favorite redhead and her dog Sandy capture hearts in this classic musical. This newer Disney feature is full of music, heart and beautiful imagery. The beautiful venue Covenant Bank Amphitheater in Central Park, located at 425 Wells Road in Doylestown will be the location of these family-friendly shows. They will start at sunset. Keep an eye on the schedule as these nights are for fair weather only. This not too old fish out of water story follows Dory from Finding Nemo on a new adventure. Grab some marmalade and join this loveable bear on his latest adventure with the Brown family. Go to the movies for a buck – Regal Cinemas is doing $1 movies all summer long. For nine straight weeks on Tuesdays and Wednesdays, they will be playing kid-friendly summer movies. You can watch these at the Regal Warrington Crossing Stadium 22 at 140 Easton Road Warrington, PA. All movies are shown at 10 a.m.